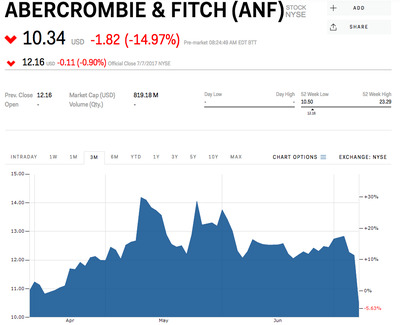 Abercrombie & Fitch tanked by as much as 16% premarket on Monday after the company said it terminated talks for a potential transaction. The apparel retailer had announced May 10 that it began preliminary talks with “several parties” on a possible deal. 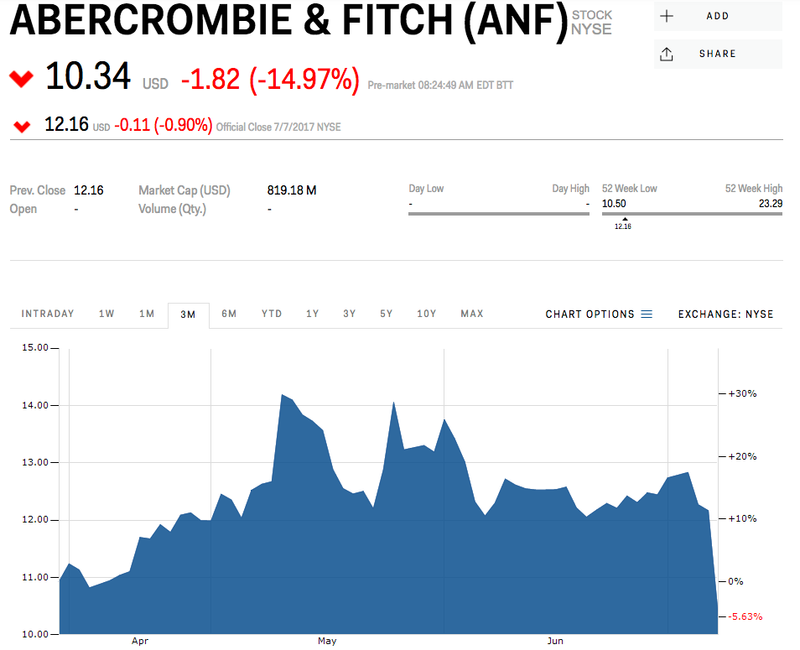 “After a comprehensive review of all relevant factors, with the assistance of our financial advisor, the A&F board of directors determined that the best path to enhance value for stockholders is the rigorous execution of our business plan,” said Arthur Martinez, the company’s CEO, in a statement. “We believe in the prospects for our business and the opportunities for our brands,” Martinez said. Abercrombie has tried to modernise its brand by redesigning stores, ditching logo-heavy styles, and dropping its super-sexualized advertising. The results of these efforts have been mixed, however.